Deciding which IP phones to purchase can be a challenging and somewhat overwhelming task. There are so many different options and it is difficult to decide what features are important to you and your business. Buying IP phones can often result in a larger up front expense than necessary if the wrong choices are made. WhichVoIP has performed the research for you to save you time and to help with this important decision. If you are not sure which phone might be right for you continue on to our selection guide, including links to editor and user reviews for many phone makes and models. How to Decide Which IP Phones to Buy? There are various types of IP phone available on the market today. The most common is the desktop phone. Other options include conferencing phones and video phones. Check out the Desktop Phones guide for more information regarding each main type. Decide Which Phone Features are "Must Have"
Available Connection Protocols - not all phones support SIP and some can only be used in conjunction with on-premise solutions that support proprietary protocols such as Cisco's SCCP. Gigabit support - most phones support up to 100Mbps Ethernet. Power over Ethernet (POE) - if your office does not have POE enabled switches then you are going to have to buy a power supply for every single IP phone that you purchase. New or refurbished? If you can live with refurbished phones then you can save a lot of money over the cost of brand new phones. New phones typically come with a one year warranty so check the warranty if you are thinking of purchasing refurbished phones. In summary, all of the technical items are generally taken care of by any service provider. Do you Need a Power Supply With Each Phone? If you are not going to run the phone using Power over Ethernet (PoE) then you will need to purchase a power adaptor for every phone that you buy. This can get expensive so check to see if the power adaptor is included with the phone model that you are considering purchasing. Buying refurbished IP phones can save a lot of money but it is important to evaluate the warranty and determine the overall value proposition. For example, the phone price may be cheap but if it has no warranty and only lasts a year, then they are going to end up costing you more than a new purchase would have cost in the first place. IP Phone prices can range from under $100 to well over $500 per phone depending on the make and model. This can become a big upfront cost that needs to be considered in detail before making the final switch to VoIP service. The cost of IP phones can vary greatly however depending on what features a business needs and what make and model of phone that is ultimately selected. Although an ATA can be used to avoid the need for IP phones, it is next to impossible to take full advantage of all the features that VoIP has to offer without an IP enabled phone. There are many different ways to purchase phones, keep the IP phone price down, and make it less of an upfront burden to businesses that want to switch to VoIP. Negotiate with the VoIP service provider and try to get a discount on the phone hardware. 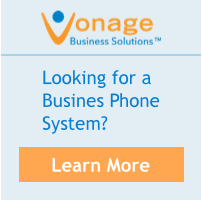 Purchase IP phones on-line from a company that specializes in selling VoIP related hardware. IP phones are available from many different sites as both used or refurbished. Before you make the final decision on which phones to purchase, it is useful to evaluate some user reviews. WhichVoIP has a collection of VoIP phone user reviews that may help with your decision. We have also created our own editor reviews for many of the popular models. Use the below table to compare IP phone pricing for various makes and models and types of options. Use the links to access our editor review of the phone as well as user submitted reviews to find out more about the phones you are considering. If you have used IP phones at your work you can add your opinion for others to read. This last part can be very important depending on whether you have already selected a VoIP service provider or not. If you have selected a provider then many only focus on supporting certain makes and models (there are just too many makes/models out there for each provider to regression test as they make updates to their service features and platform etc.). Most providers sell the IP phones that they support, often at wholesale pricing. Already have VoIP service? : If you are either looking to add more phones or upgrade existing phone models, the first place to start is to talk to your provider and (a) ask them what phone makes and models they support and (b) ask them for pricing. As you have now narrowed down the makes and models that you can purchase, you can now comparison shop for the best price. Shopping for VoIP service? : If you are in the process of selecting a VoIP service provider and are comparing price quotes for service, it is very likely that the provider has also provided a quote for IP phones. You are in a good position to negotiate discount pricing on the phones but it is still worth researching the phone model that the provider is proposing to ensure it is the right fit for you or your business. You can also check prices while performing this research. The following tables provide information on makes/models of IP phones sold by some of the top providers, and likley acts as a rough guide to supported phones by each provider. While the tables above list some of the more popular phone makes and models, there are many other options to choose from. Some other manufacturers that may be worth evaluating are Aastra, Avaya, Digium, Grandstream, SNOM and Toshiba. Continue below to search by manufacturer. For a detailed comparison of the important features of the most popular vendors models, please read our article that provides a detailed comparison of Yealink vs Polycom vs Cisco Phones. Simply click on the manufacturer logo of interest to learn more about their available phones. Compare different manufacturers phone models and features by evaluating our list of some of the most popular and best IP phones. Although there are indeed many different IP phones to choose from, when you take a closer look, they are actually all very, very similar. Basically every manufacturer seems to offer a specific model that is similar to what other manufacturers offer. The big difference is often the asking price. There are of course the more recognized brands such as Cisco and Polycom but you may end up paying more for that brand comfort. There is also a personal factor with phones such as look and feel, and if they are aesthetically and ergonomically pleasing. The easiest way to determine that is to order one or two of each model that you interested in and test them out prior to making a bulk purchase. You can then send back the phone model that you decided against. In summary, decide on your budget, know how many phone lines you need, be sure you know what critical features you want, then go ahead and buy some phones and test them before committing 100% to a bulk purchase. After you have tested a model for a period of time and you are comfortable that you like it and does everything you need, you can go ahead and make that bigger investment with confidence. 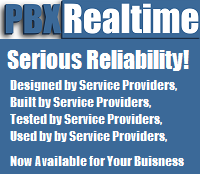 Looking for Hosted VoIP Service? #1 : Posted by Dan N.
Can all VoIP phones go wireless? Since there are no cables between my office and the facility room. I just want to ask AT&T to leave the land line in the facility room, and use a wireless router to connect all phones. -> Response: Actually most of them cannot go wireless unfortunately. There are a few that have WiFi adapters or there are DECT IP phones but the vast majority are Ethernet based with CAT5/6 cables. Presumably you are referring to AT&T DSL when you state landline. I would bring it outside the facility room if there is no way of getting cables out. Normally the Ethernet cables will be branched out from a facility room to each desk or cubicle in a building (in my experience). The IP phones tend to have a WAN and LAN port so if you have an Ethernet cable to a desk/cubicle you can take advantage of the built-in switch inside the IP phone to connect to your laptop/pc so no additional external switches are required. If there is no way to get cables out I would bring the DSL outside the facility room and then connect wires accordingly from there to your desk/phones. Alternatively get a Dect phone such as DP715 (Grandstream) or the W52P (Yealink). You may lose some features though compared to desktop type phones but you could keep the base in the facility room, just would not be my personal preference.